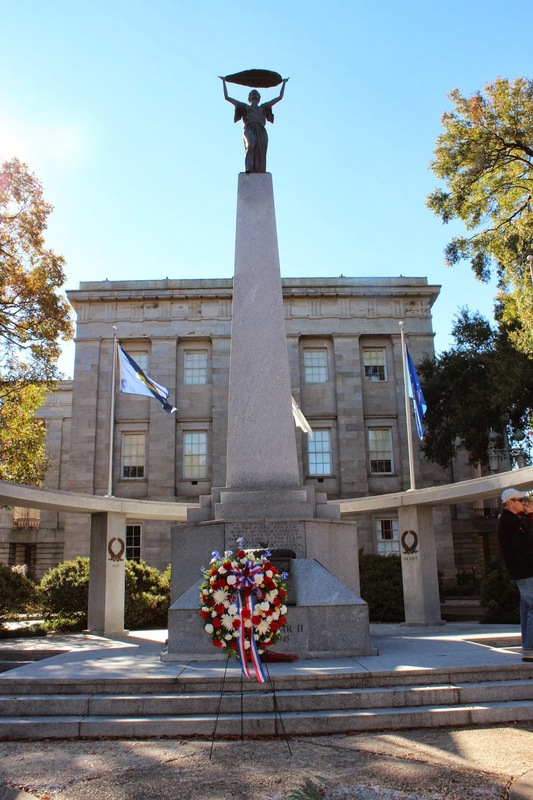 Today, on Veterans Day, I had a chance to see the wreath placed at the North Carolina State Capitol in honor of our veterans. I am so thankful for our armed forces, though I really can't imagine what a sacrifice it is to serve with them. I am fortunate to live in a nation that has been so well protected by our military, and I hope that men and women continue to rise up and protect our freedom. I share your sentiments, may God continue to bless America!